"THE HOUSE OF MIRTH appears to be the novel of the season...[and] has occasioned the most discussion of a serious sort. It is a work which has enlisted the matured powers of a writer whose performance is always distinguished, and whose coupling of psychological insight with the gift of expression is probably not surpassed by any other woman novelist of our time. 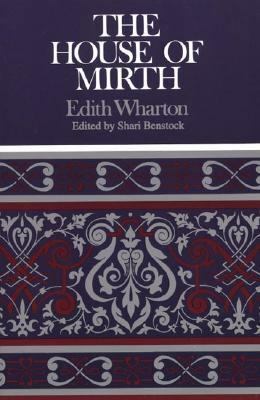 "Wharton, Edith is the author of 'House of Mirth ', published 1993 under ISBN 9780312062347 and ISBN 0312062346.